Beer and women have had a long association — but that has generally been little more than a marketing gimmick to sell more beer to men. That’s largely because beer has traditionally been seen as a masculine drink. 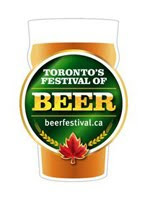 The third annual Girl’s Guided Beer Tour, to be held Sunday, August 7thduring Toronto’s Festival of Beer, aims to break through that stereotype by showing women can — and do — enjoy drinking beer just as much as their husbands, boyfriends, fathers, brothers and sons. Despite its historic association with men, beer has many qualities that appeal to women. Beer has fewer calories than a mixed drink, juice, milk or cola, it has up to four times more anti-oxidants than wine and the yeast and hops in beer have strong probiotic qualities. The Girl’s Guided Beer Tour will help women find the suds that best suit their palate. Amato, a columnist for TAPS Magazine and CBC Here and Now on 99.1FM and an experienced Canadian beer connoisseur and judge, will take her ladies through five stops, each representing a different beer. The hour-long tour will be followed by an After Party sponsored by Rickard’s that will feature a guided sampling bonus with food pairings. Rickard’s will also be launching the latest beer to its roster, Rickard’s Blonde, a German-style full-flavouredpilsner, that is accessible for all beer drinkers, including women. Tickets for The Girl’s Guided Beer Tour are $48.50 and include 10 sample tokens, a tutored tasting, gift bag, Commemorative Sampling Cup and Festival Pocket Guide. Participants will also get express entry through the VIP gate. Only a limited number of tickets are available for each tour.